In the humorous, heartfelt new novel by the author of The Next Thing on My List, a personal organizer must somehow convince a reclusive artist to give up her hoarding ways and let go of the stuff she’s hung on to for decades. 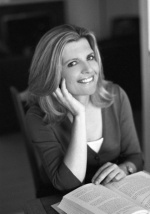 Jill Smolinski is the author of the novels The Next Thing on My List and Flip-Flopped. Her work has appeared in major women’s magazines, as well as in an anthology of short stories, American Girls About Town. She lives in Los Angeles with her son. Jill Smolinski’s latest novel, OBJECTS OF MY AFFECTION, is a surprisingly charming tale that deals with the serious issues of hoarding and addiction. Hoarding is recognized as a symptom of obsessive-compulsive disorder and related to addiction. Both, of course, are most often not seen as a problem to the afflicted so treatment becomes a challenge. Often intervention is needed to help these people. Did I say this was a charming tale? Read on! Main character, Lucy Bloom, is a personal organizer, and her life has been turned upside down of late. From losing her job to having her boyfriend leave her, things are topped off by the worst part which is dealing with her drug addicted son, Ash. Lucy is forced to set up an intervention to try and help him. In order to get Ash the help he needs in a rehab center, she has to sell everything including her home to pay for it. Lucy is desperate for a job and so agrees to take on Marva Meir Rios, who is a hoarder, and needs help to clear out her home. Lucy doesn’t realize all that this entails until she gets into it. She also continues to battle to help her son with his addiction. It turns out that Marva and Lucy form an unlikely bond and both are helpful to each other in working on their problems. Marva is pretty sharp and although there is no doubt she is a hoarder, she is also smart enough to recognize the problems that Lucy is having with her son. As they work together, reasons for their problems bubble to the surface and they must deal with them. Lucy also must deal with some romantic issues in the form of her old beau, Daniel, who walked out because of Ash, and a new interest, Niko. Lucy meets Niko when he helps to take away the things from Marva’s house thus allowing Marva to slowly but surely dig away at her issues. Marva learns why it is she has been hoarding and this helps Lucy to help her. Jill Smolinski is able to look at these serious issues in a creative and interesting way. The story moves along quickly and readers will easily be able to appreciate the characters that appear sincere and intelligent. 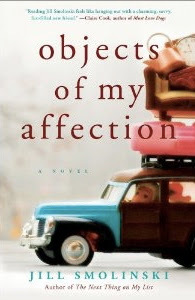 OBJECTS OF MY AFFECTION is a perfect summer read that will grab you from the beginning and envelop you in the lives of the unique characters. This sounds like a really good book. I would love to see what happens with the two of them, as they deal with their addiction and personnel issues. I entered recipes to die for. I entered hearse and buggy. It sounds like a good read. I'm interested to find out what kind of objects fills Marva's home and why it's so hard for her to part with them. This reminds me that I have a box of wedding gifts from 1963 stashed away somewhere. I think I really should dig into it and either pass on the contents to the kids or donate. This sounds like a great beach read. Entered CORPSE IN THE CRYSTAL BALL. Entered THE BODY IN THE BOUDOIR. Entered THE DIVA DIGS UP DIRT. I am very happy that this is being offered as a giveaway. I really like that this book has humor. I am also interested in how the personal organizer persuades the Lucy to give up things that have sentimental value. From her website, I enjoyed looking at her Bucket List Blog. I follow your blog with a RSS feed on my IGoggle Page. "Memoirs of An Imaginary Friend". "Corpse in the Crystal Ball". "The Body in the Boudoir". "The Rock Star in Seat 3A". "The Diva Digs Up The Dirt". A book with hoarding AND secrets? Sounds good to me! I also follow through Google Friends. Decluttering your life--this sounds interesting! Thanks for the giveaway. Interesting statistic on the author's website--of all the people that start to write a novel, only about 3% finish. I really enjoyed Jill's first book and have been patiently waiting for this one! Thanks! Entered corpse in a crystal ball. Entered Recipes to die for. Entered Rock Star in Seat 3A. I'd like to find out what's behind their hoarding and other issues. She has wanted to be a writer since she was six years old. I entered The Diva Digs Up The Dirt. Entered "COZY MYSTERY MONTH GRAND CELEBRATION GIVEAWAY". I entered Cozy Month Grand Celebration Giveaway. I want to see how she gives up things that have sentimental value. I entered In The Bag. I entered In a Witch's Wardrobe. I entered The Sins of the Father.